Established in 1741, the first Corps of Cadets of Massachusetts provided officers for regiments serving from the Revolutionary War through World War II. 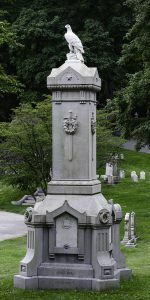 In honor of 15 cadets who lost their lives during the Civil War the Corps purchased a lot at Mount Auburn (Lot 3215, Lawn Avenue) and raised funds for a cenotaph designed by Boston architect Theodore Colburn. 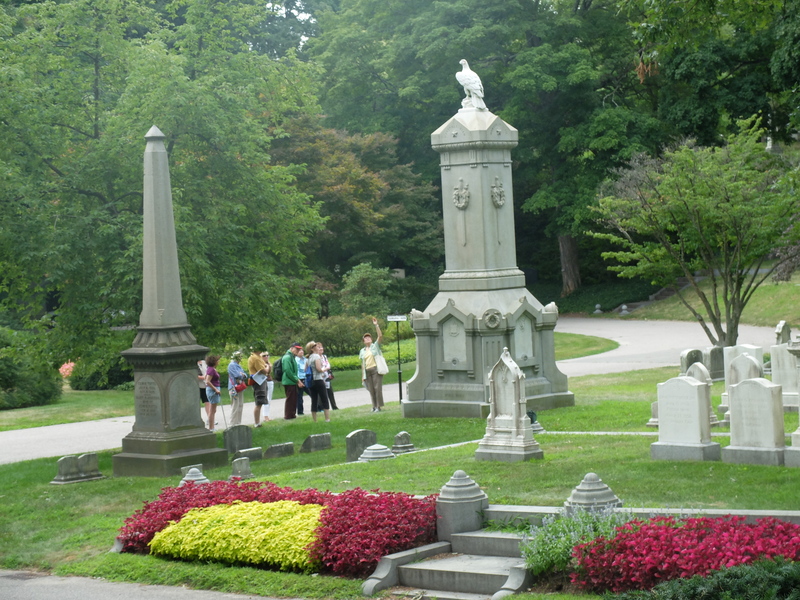 A docent leads a tour group, 2015. Memorial Day Wreath-laying ceremony, 2010. From The Art of Commemoration and America’s First Rural Cemetery (2015) by Melissa Banta with Meg L. Winslow. The Civil War was over before November 1865. Hi Peter, thanks for pointing out this error. It was poorly worded and we’ve changed the article text. 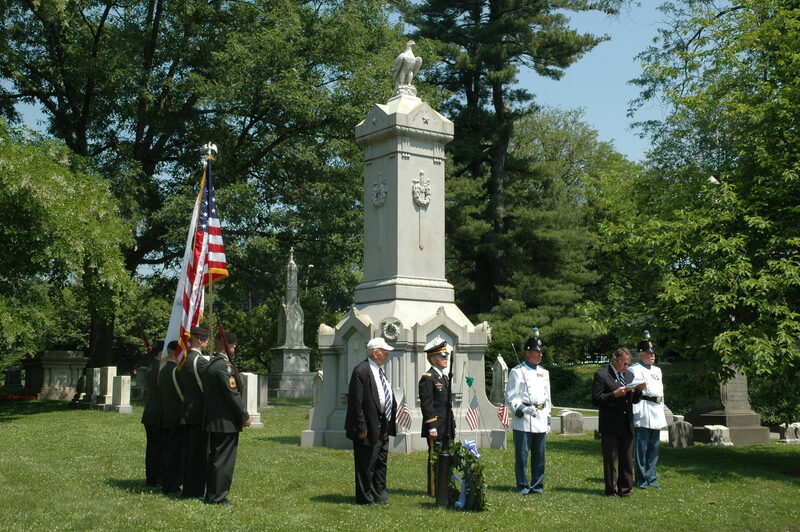 The Corps decided in November 1865 to honor the soldiers who died and then purchased the lot. 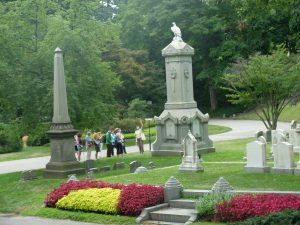 The men died at various points in the war. Thanks for your close reading! monument which means so much to veterans of the First Corps Cadets.